A new report into the digital habits of Australians has found that the smartphone has become all but ubiquitous, we love Facebook more than we did last year, and a third of us would be keen on a self-driving car. 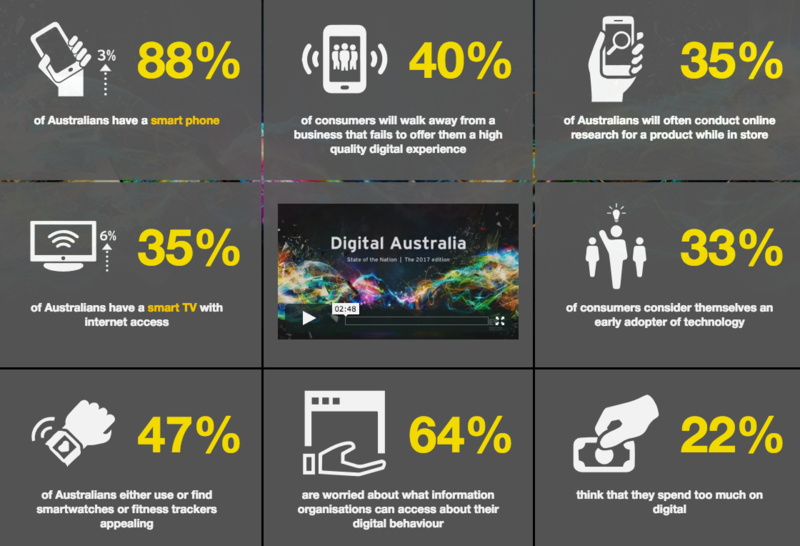 The report by Sydney-based market research firm EY Sweeney is titled Digital Australia: State of the Nation. You can download a copy of it here. The report was compiled using the responses of of 1551 Australians (aged 18-69 years old) and 131 digital opinion leaders from the commercial and government sectors. Probably the biggest theme for marketers in this year’s finding was that Aussies are none to happy with brands who don’t offer a seamless digital experience, with some 40 per cent agreeing they’d walk away from a company that mucked them about. 88 per cent of Australians now own a smartphone. 80 per cent of Aussies use Facebook, while 30 per cent admitted they’d increased their usag of the social media over the past 12 months. 78 per cent of us want to the government to play a more active role in the transparency of how organisations use consumer information. Music streaming revenue has increased by 90 per cent over the past 12 months. 63 per cent of Aussies and 76 per cent of digital opinion leaders support the government’s roll out of the NBN. Just shy of a third (32 per cent) of Australian’s find the idea of self-driving motor vehicles very appealing. 94 per cent of consumers say they research products and services online.